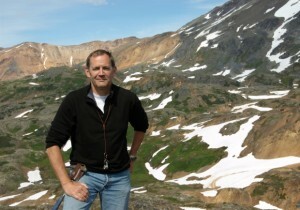 Pretivm Resources CEO looks to China to develop one of Canada’s richest gold mines | Energy and Gold Ltd.
Of undeveloped gold projects globally, few have the grade, size and potential of Pretium Resources’ Brucejack gold project, and specifically, the Valley of the Kings area, near Stewart, British Columbia, which contains 6.9 million ounces of gold at 15.7 grams per ton and is open for expansion. Pretivm is among the most valuable non-producing gold companies in the world currently, worth roughly $1 billion, a sign that investors recognize the potential in Pretivm, and consider it a frontrunner for a takeover by another large mining firm in the intermediate future. Being the highest valued junior gold company can also attract unwanted attention, as was the case when a 2013 dispute between two mining consultants over the resource model being used by Pretivm caused an investor panic and shares in the company to fall by nearly two thirds. The stock has mostly recovered thanks to strong bulk sample test results in 2014, and strengthened by a recent $81 million strategic investment in Pretivm by ZiJin Mining, China’s largest gold company. 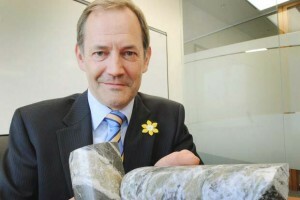 Pretium Resources is led by a highly experienced geologist and mining company builder, Robert Quartermain, who for 25 years was President and CEO of Silver Standard Resources. Mr. Quartermain generously agreed to spend 20 minutes with EnergyandGold.com this week to go over the company’s challenges and expectations for 2015. Scott Armstrong: Thank you for joining us Mr. Quartermain. Please describe the Brucejack gold project. How does it stack up to other development stage gold projects globally? Bob Quartermain: The Brucejack Gold Project and specifically the Valley of the Kings is one of the highest grade development stage gold projects currently in the world. Our reserves grade 15.7 grams of gold per tonne, so approximately a half ounce of gold per tonne, and we have defined 6.9 million ounces of gold in the Valley of the Kings. The mineralization remains open in all directions so we can certainly add to the reserve. We undertook deep drilling last year, drilling 500 meters below the known extension of mineralization and continued to encounter high grade mineralization. So not only is it a defined resource, it’s one that we can add to. The metallurgy of the reserve is simple; the gold occurs as electrum which is a gold/silver alloy with 65% gold / 35% silver. As a result we get very good recoveries, approximately 97% of the gold by way of gravity. We merely crush the rock and recover the electrum from it. Being located in British Columbia, Brucejack is in a known mining jurisdiction – a mining friendly jurisdiction where mines continue to be built. We have a rule of common law so we know the framework for taxes and payments that are going to be made. All in all, we think the Brucejack Project stacks up quite favourably to other development stage projects globally. Scott Armstrong: What are the major milestones that Pretivm hopes to accomplish in 2015? Bob Quartermain: One of the current key milestones of course is that we have been in the permitting process for over 2 years since filing our project description starting the process in January of 2013. We have held open houses to ensure that local residents are aware of what we plan to do. We entered into the more defined federal and provincial process when we made our application for our Environmental Assessment (filed in August 2013). There is an approximate 180 day review period after which time the file is referred to the ministers, so the total review period to the ministerial approval is approximately 225 days which means we would hope to be advised on our project by the government in late March or early April. With the environmental approval from the province then we would expect to receive the federal approval a reasonable time after that. This is similar to the approval timeline of Seabridge and their KSM project; it was approved by the province and the federal approval came a short time after that. The fact that the KSM project was permitted and it is a much larger project and impact, we expect to receive our certificate in a timely manner. With certificates in hand, we can then conclude financing. Debt financing that we’re arranging for the project would be conditional on permits, and we would hope to be able to conclude the entire financing package, that we require for the US$746 million capital, sometime in the 2nd quarter of this year. This will allow us, with the appropriate permits, to commence site construction which is largely leveling the plant site area for the milling facility. This should commence sometime in June, which allows us to be much more efficient at site as we’re not dealing with the colder weather conditions in doing civil works. With construction commenced we are then in that process for the next 24 months, targeting production sometime in mid 2017. Scott Armstrong: What are the biggest challenges facing Pretivm? Bob Quartermain: When you look at the evolution of the Brucejack Project and specifically the Valley of the Kings, we IPOed Pretivm in 2010 as a concept; a concept that there would be high-grade gold resources in the Valley of the Kings. Here we are not even 4 years from when we commenced our initial drilling in 2011, which really defined the Valley of the Kings, and we are targeting construction this summer. So this project has advanced because of its grade, its location and its limited environmental impact. The only real challenge for Pretivm is the gold price. Having said that, because of the high-grade gold nature of Brucejack, we have been able to continually fund the project and advance it. When we launched the company four years ago, we IPOed at $6/share; here we are four years later in a much more challenging gold price environment and our shares are trading approximately 30% above the IPO price. So I think that speaks very well of the project. I don’t see any specific challenges, we’re just going through the permitting process, maintaining our timeline to raise our development capital. As I indicated, those are specific timelines I believe we will achieve and advance the project through the rest of the year. If we get an enhanced gold price it will make development and financing that much easier. CEO Technician: What is your vision for Pretivm 2-3 years from now? 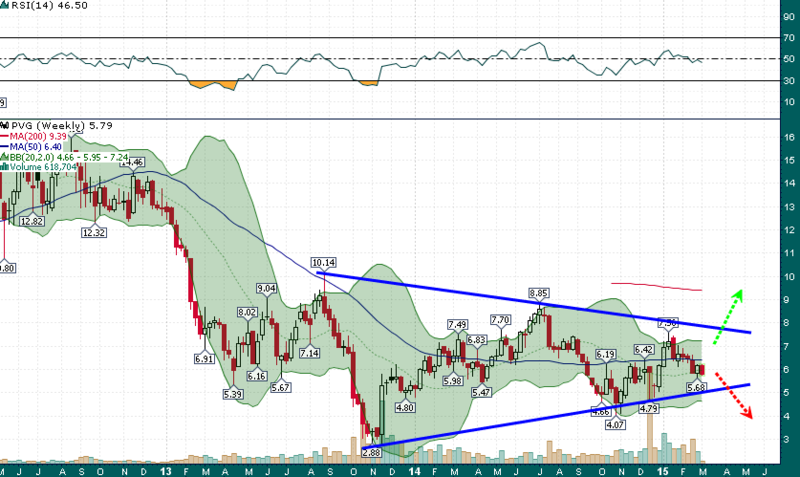 And what is your outlook for gold & silver prices? I know you are not a trader or a market commentator but you have extensive experience in the gold industry so it would be interesting to hear where you think we are in the gold market cycle. Bob Quartermain: To answer your first question, 3 years from now the project would be in production. We will be paying our debt back and at some point in time we will pay a dividend back to shareholders. Shareholders have been very supportive in funding us through equity and so we need to return something back to shareholders, so a dividend is something that we could look at down the road. This of course is my personal opinion, not one of the Board’s. Doing any M&A activity at our stage is unlikely, when you have such a good quality asset, the best way to return value back to shareholders is through dividends. With respect to the gold industry, I’ve been in the resource industry for 40 years now. For 30 years I’ve been running precious metal public companies. I ran Silver Standard for 25 years and now Pretivm for almost 5 years. I continue to be a long term gold bull. What I think is key to the gold market, is this movement of the physical metal from the West to the East. We continue to see China as one of the world’s largest consumers of physical gold. I was recently to China a few times over the last few months, mainly because we have a new strategic investor who has acquired an approximate 10% interest in Pretivm (ZiJin Mining). In these two visits I took a wander around jewelry stores and what I noticed in both Hong Kong and Shanghai was a lot of people were buying physical gold, either gold jewelry, small bars of gold or figurines. So we continue to see strong gold demand in China and also India, and at some point I think we’ve got to see the physical market align with the paper market. With current gold prices, mining companies find it more challenging to develop projects, as the average grade of gold mines is approximately 1 gram/tonne. I think physical demand and lower grades speak to a continued gold uptick. Long term I believe we are going to continue to see a more robust gold price than we’re currently seeing. CEO Technician: What’s your feel for the global marginal cost of pulling an ounce of gold out of the earth? How will smaller or higher cost producers be affected if gold prices remain around $1,200 or fall further? Bob Quartermain: If you assume that gold could move lower in the shorter term it will lead to challenges in which companies with higher costs will look to companies with quality assets and lower costs to merge with and ensure that overall the corporation will have a stronger gold balance sheet. We have already begun to see this sort of M&A activity and we could see more of it down the road. Chuck Jeannes, President of Goldcorp, made a comment in the fall that the gold industry has reached peak gold production. We are now seeing some of the major mining companies curtailing production and not producing as much gold as they historically. We just aren’t seeing those new high-grade gold discoveries anymore and current industry all-in cost of production is estimated around currents levels. Our Brucejack Project has a positive rate of return, even at $800 per ounce gold and our all-in sustaining cost of production based upon the 2014 Feasibility Study is under $500/oz. It’s these types of low cost stand alone projects that can weather these times of metal price downturns. Scott Armstrong: What events are required for sentiment to turn in favour of the junior mining market again? Bob Quartermain: Success. I think that we need to see drilling success for juniors who have been exploring to discover some new deposits. I’ve been working in the junior space since 1980, or about 35 years. I worked in the Hemlo Camp back then and those Hemlo discoveries, the discovery of Corona and subsequently Goliath Gold Mines, attracted a lot of risk capital because there was such reward from discovery. So one of the drivers for investor sentiment will be success in the space through discovery. And obviously a stronger gold price will also bring investment back to the juniors space. I personally haven’t been investing much in the junior space, but I am now looking at projects and resource professionals who have had success. I am looking at potential opportunities where they have hit a low share price in the cycle in gold and copper projects. CEO Technician: How did ZiJin Mining address the continuity of grade concerns in their due diligence process before making their large recent investment in Pretium? Bob Quartermain: The comment I can make, is that we have had a dialogue with ZiJin for a number of months. ZiJin sent two teams to review our project, one of which was led by Chairman Chen. ZiJin is China’s largest gold producing company, it produces 2.5 million ounces of gold per year, it’s got 25,000 employees and a market cap of over $10 billion US. Chairman Chen is a geologist like myself, and he’s taken that company from its inception to where it is. He and his team visited our office and reviewed our model, went to site and visited the underground. They also had a group that reviewed socioeconomic aspects by meeting with some of the First Nations and visiting local communities. I can’t specifically speak to how they got their comfort level but as we often find with people who visit the site, they are better able to understand the distribution of the gold mineralization at Brucejack. Obviously ZiJin was comfortable with our resource to make its investment. Scott Armstrong: How do Chinese investors differ from North American corporates and institutions? Bob Quartermain: I think it’s their view on gold. China has had gold as part of its currency for centuries and with China now the largest consumer of gold they have more of an affinity for it as opposed to just a pragmatic trading basis as we see more in North American. As gold moves from the west to the east, we will probably see a continued increase of China in its investment strategy in companies such as Pretivm. I think the Chinese are generally more bullish on the commodity (gold) than those in North America, and they view the commodity favourably long term. The Pretivm Resources story is far from over, and we look forward to following this highly dynamic company in the future at EnergyandGold.com. To be notified of Pretivm’s news releases, subscribe at the company’s web site (link here). We thank Mr. Quartermain for appearing on EnergyandGold.com and wish him all the best in 2015! This website contains “forward-looking information” within the meaning of applicable Canadian securities legislation. Forward-looking information may include, but is not limited to, information with respect to the anticipated production and developments in our operations in future periods, our planned exploration and development activities, the adequacy of our financial resources, the estimation of mineral resources, realization of mineral resource estimates, costs and timing of development of the Snowfield project and the Brucejack project (together, the “Combined Project”), costs and timing of future exploration, results of future exploration and drilling, timing and receipt of approvals, consents and permits under applicable legislation, our executive compensation approach and practice, the composition of our board of directors and committees, and adequacy of financial resources. Wherever possible, words such as “plans”, “expects” or “does not expect”, “budget”, “scheduled”, “estimates”, “forecasts”, “anticipate” or “does not anticipate”, “believe”, “intend” and similar expressions or statements that certain actions, events or results “may”, “could”, “would”, “might” or “will” be taken, occur or be achieved, have been used to identify forward-looking information. Statements concerning mineral resource estimates may also be deemed to constitute forward-looking information to the extent that they involve estimates of the mineralization that will be encountered if the property is developed. Any statements that express or involve discussions with respect to predictions, expectations, beliefs, plans, projections, objectives, assumptions or future events or performance (often, but not always, using words or phrases such as “expects”, “anticipates”, “plans”, “projects”, “estimates”, “assumes”, “intends”, “strategy”, “goals”, “objectives”, “potential” or variations thereof, or stating that certain actions, events or results “may”, “could”, “would”, “might” or “will” be taken, occur or be achieved, or the negative of any of these terms and similar expressions) are not statements of historical fact and may be forward-looking information. Forward-looking information is subject to a variety of known and unknown risks, uncertainties and other factors that could cause actual events or results to differ from those expressed or implied by the forward-looking information, including, without limitation: risks related to commodity price fluctuations, including gold price volatility; risks related to the development and operation of a mine or mine property; risks related to the fact that we are a new company with no mineral properties in production or development and no history of production or revenue; risks related to development of the Combined Project; uncertainties related to title to our mineral properties and surface rights; risks and uncertainties relating to the interpretation of drill results and the geology, grade and continuity of our mineral deposits; risks related to governmental regulations, including environmental regulations; increased costs and restrictions on operations due to compliance with environmental laws and regulations; uncertainty regarding unsettled First Nations rights and title in British Columbia; increased costs affecting the mining industry; increased competition in the mining industry for properties, qualified personnel and management; risks related to some of our directors’ and officers’ involvement with other natural resource companies; uncertainty relating to potential inability to attract development partners; risks related to the delay in obtaining or failure to obtain required permits, or non-compliance with permits that have been obtained; risks related to integration and transition of the Combined Project; risks related to Silver Standard Resources Inc.’s share ownership, ability to influence our governance and possible market overhang; risks related to our ability to obtain adequate financing for our planned exploration and development activities and to complete further exploration programs; risks related to general economic conditions; recent market events and conditions; and currency fluctuations. This list is not exhaustive of the factors that may affect any of our forward-looking information. Although we have attempted to identify important factors that could cause actual results to differ materially from those contained in forward-looking information, there may be other factors that cause results not to be as anticipated, estimated or intended. There can be no assurance that such information will prove to be accurate, as actual results and future events could differ materially from those anticipated in such information. Forward-looking information involves statements about the future and is inherently uncertain, and our actual achievements or other future events or conditions may differ materially from those reflected in the forward-looking information due to a variety of risks, uncertainties and other factors, including, without limitation, those referred to above. Our forward-looking information is based on the beliefs, expectations and opinions of management on the date the statements are made, and we do not assume any obligation to update forward-looking information, whether as a result of new information, future events or otherwise, other than as required by applicable law. For the reasons set forth above, prospective investors should not place undue reliance on forward-looking information.